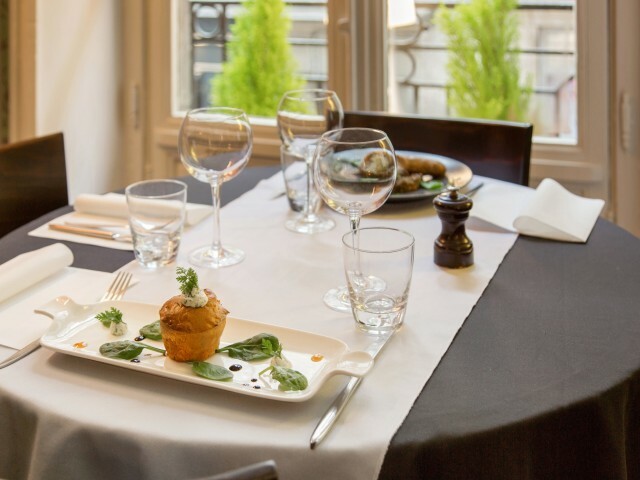 The Aux Fourneaux restaurant, located in the heart of the city center of Nantes, in the Graslin district, welcomes you in a contemporary setting. Original decoration of the room, which is displayed in soft and colorful tones. You will enjoy traditional French cuisine and revisited. The Chef and his team are original in the composition and combination of dishes. Always looking for new flavors and tasty dishes, he uses only fresh products for his recipes. A VEGAN proposal is integrated into each menu. An address that will satisfy all gourmets! To discover and discover as soon as possible!